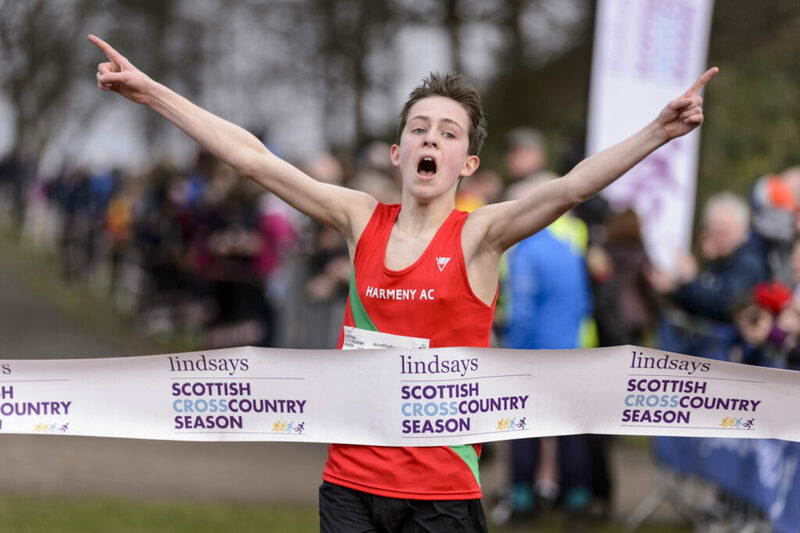 Our age group races at the Lindsays National XC always deliver moments of glory – and exciting stories – Callendar Park. The 2019 edition maintained the tradition. 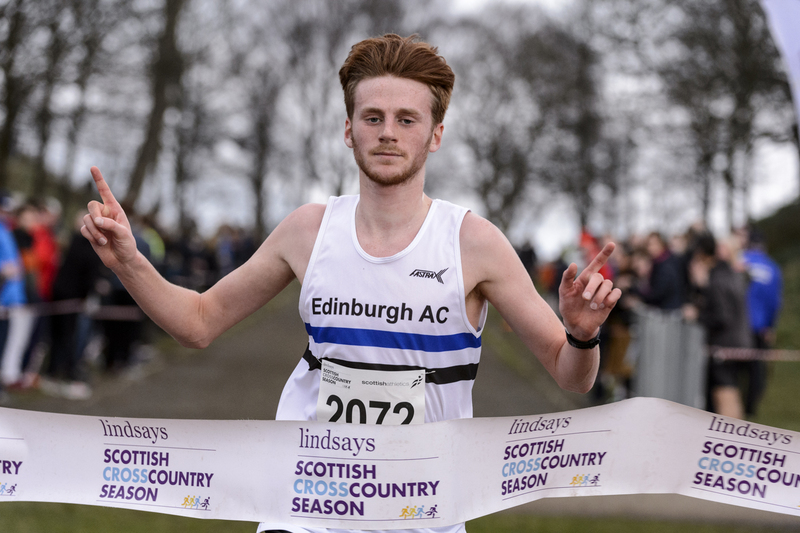 Edinburgh AC savoured a fine individual double in the U20 races as Eloise Walker and Freddie Carcas each topped the podium in their races. 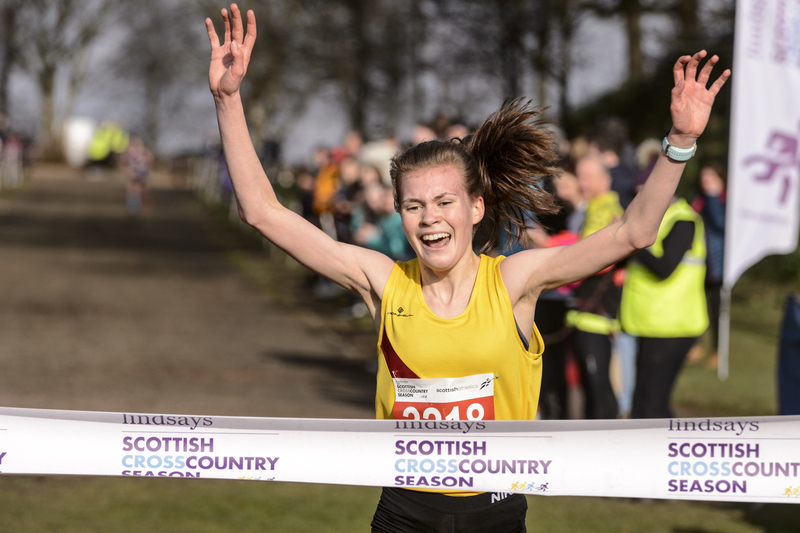 Further down the age categories, Giffnock North AC once again collected team medals by the bucket-load while for Inverness Harriers there were not one but two individual gold medals via the performances of Anna Cairns at U13 and Megan Keith at U17. 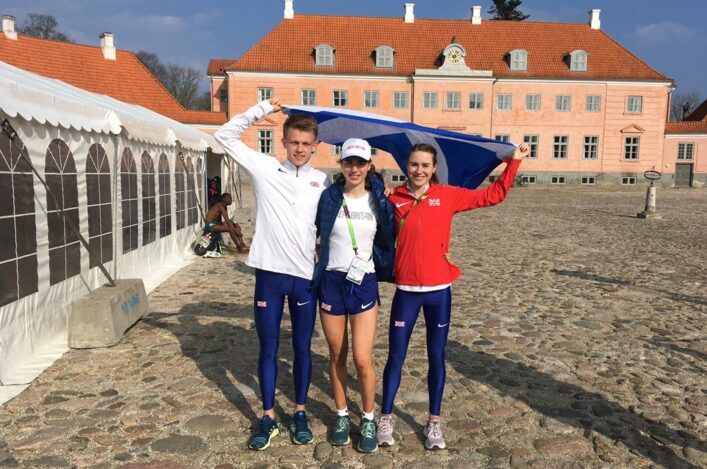 Let’s start at U20 level with Walker, still only 17, taking the win ahead of another GB international, Giffnock’s Erin Wallace, and Naomi Lang of Edinburgh Uni Hare and Hounds. ‘It was 7.5K so a long race for me and at times I really had to try and pace myself,’ said Eloise. ‘But I’m delighted to get the win and hopefully now I can do well at the Inter-Counties at Loughborough. It’s the trials for World Cross and I have to try and aim to mix it with the best girls in Britain and see if I can somehow make the team. Carcas, for his part, first body-swerved illness at home and then overcame the challenges of silver medallist Max Milarvie (Edinburgh Uni Hare and Hounds) and Hamish Hickey (Central AC) to win. ‘Most of my family were ill this week and my sister (Pippa) and my dad (Max) had to pull out of racing at Falkirk,’ said Freddie. Edinburgh Uni took both the team golds at U20 with Giffnock and Glasgow Uni the other medallists in the Women’s race and Cambuslang and Central in the Men’s. And so to Inverness and Giffnock. 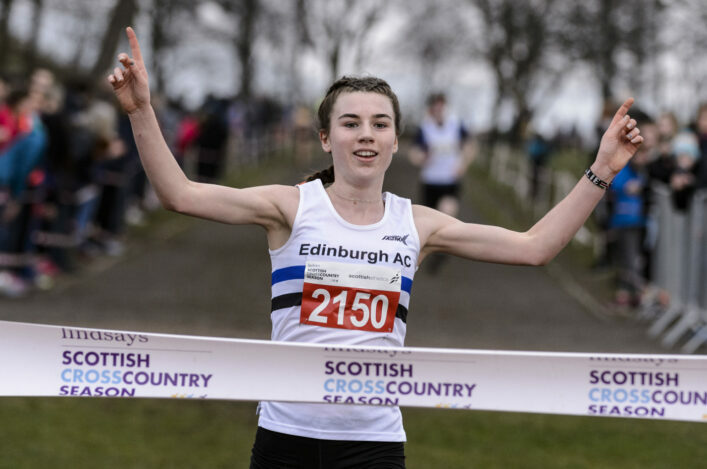 Megan Keith is a European Orienteering U16 champion and Callendar Park proved well within her compass as she reversed the Inter-District outcome at U17 Women by beating Cera Gemmell (Team East Lothian) into second place with Isla Calvert (Livingston) in third. ‘I train twice a week with Inverness Harriers and then a couple of other times with my (hill-runner) dad Alec,’ said Megan, who won by 25 seconds. Giffnock took team golds here with Aberdeen in second and Inverness in third. There was more glory for Giffnock in the U17 Men’s race. 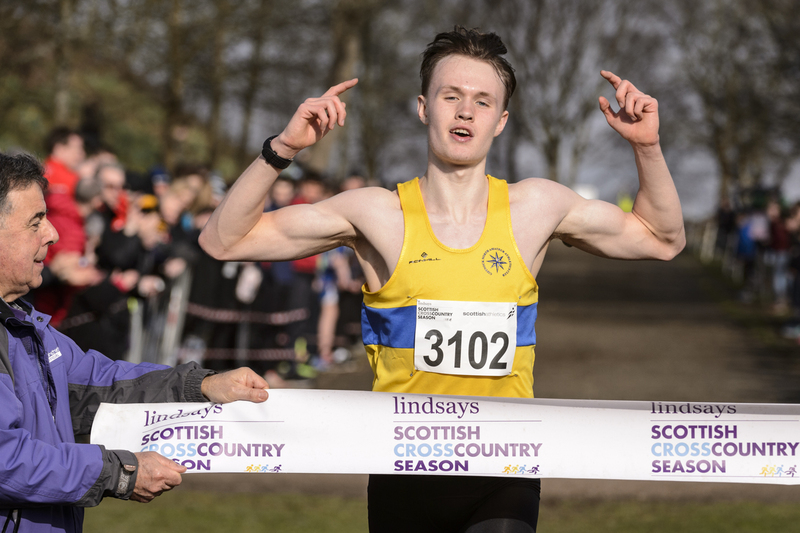 Hamish Armitt was injured for much of last year but his comeback in cross country has been spectacular – winning in Liverpool, Stirling and now Falkirk. 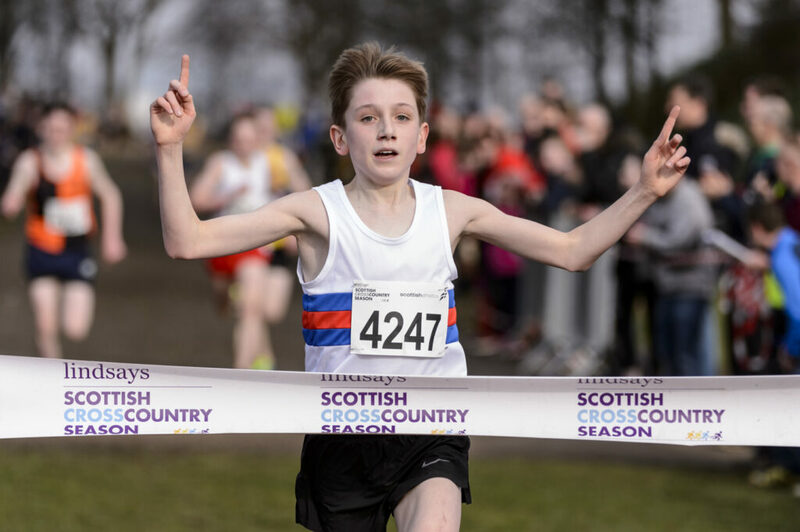 ‘I’m high up in the British Cross Challenge for U17 so I really want to see if I can win that outright at Loughborough,’ said Hamish, who won from Jack Trainer of Garscube and Falkirk’s Kane Elliot. Kilbarchan AAC took the team golds with Giffnock in second and Cambuslang Harriers third. 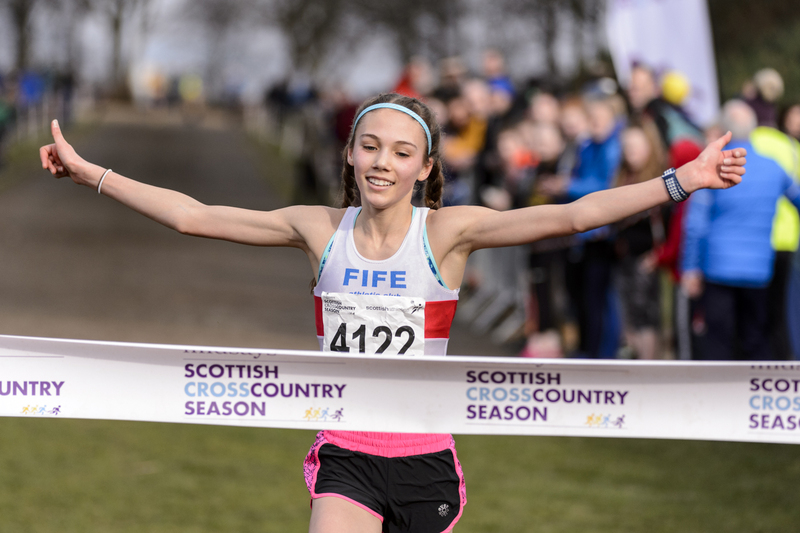 Fife AC’s Anna Hedley looked a strong favourite in the U15 Girls races and so it proved. Anna, who later took the chance to chat to Steph Twell, headed the Giffnock duo of Julia Cash and Hannah Ryding. Giffnock took team golds with Fife in second and Kilbarchan third. Harry Henriksen of Lasswade took gold in an U15 Boys race which proved one of the closest contests of the day. Deveron had a silver medallist in Sean Mcdonald with Sam Griffin landing bronze in Aberdeen colours. Giffnock took team gold there from Cambuslang and Inverness. Harmeny AC savoured a National XC champion at U13 Boys thanks to a great run from Finlay Ross, with silver for Corey Campbell of Team East Lothian and bronze for Garscube’s Fergus Currie. Giffnock won the team golds with Aberdeen in second and Garscube third. 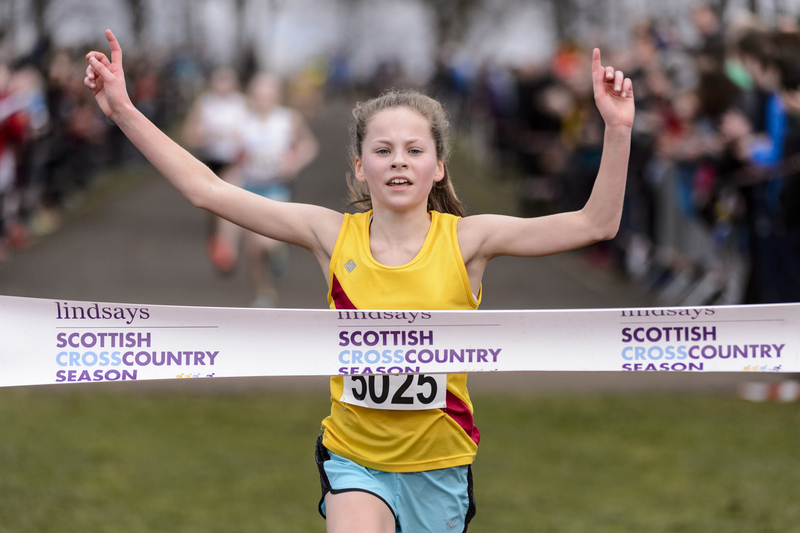 Anna Cairns had been the first winner of the day in the U13 Girls – with a first National XC title for Inverness Harriers to 17 years. Fife AC’s Isla Thoms took silver with bronze for Phoebe Armstrong of Aberdeen. 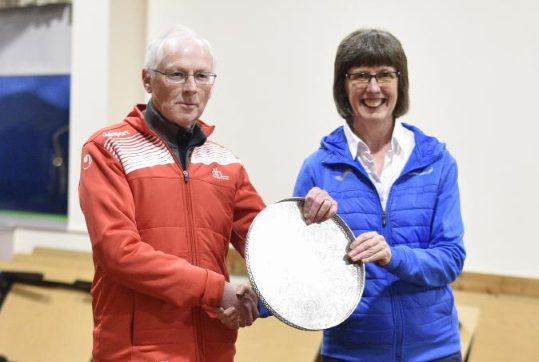 Inverness took the team golds with Fife second and Giffnock third.